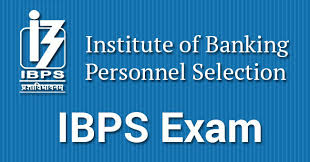 The Institute of Banking Personnel Selection (IBPS) has published Advertisement for below mentioned Posts 2018. Other details like age limit, educational qualification, selection process, application fee and how to apply are given below. Master’s Degree of a Recognized University or equivalent in English/Hindi with Hindi/English as a compulsory or elective subject at degree level OR Master’s degree of a recognized university in any subject other than Hindi or English, with Hindi or English medium and English or Hindi as a compulsory or elective subject or as medium of examination at degree level; OR Master’s degree of a recognized university in any subject other than Hindi or English, with Hindi or English as a compulsory or elective subject or either of the two medium of examination and the other as a compulsory or elective subject at the degree level. For Research Associate/ Deputy Manager (Accounts): Interested Candidates may Apply Online Through official Website.